Fear is a compelling emotion, and it often dictates our actions. Spiders, in particular, are detested by many. 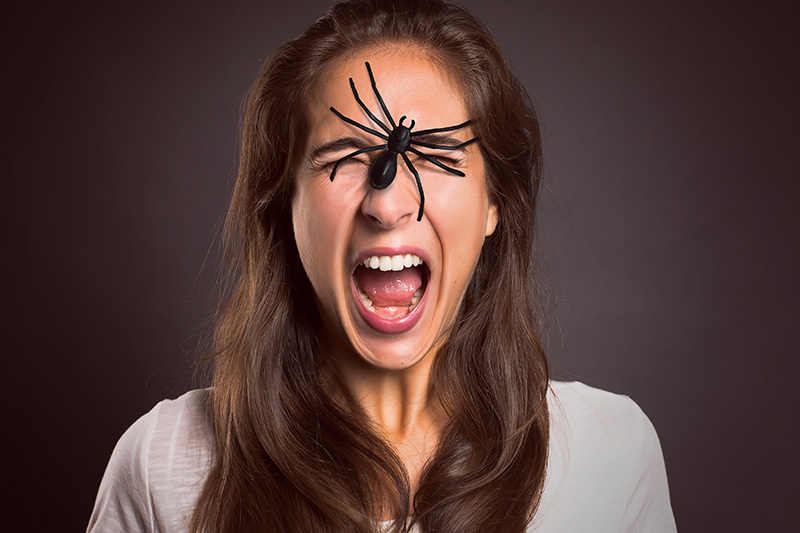 Those with a phobia of spiders are known to have arachnophobia, the irrational fear of eight-legged crawlers. One New York woman can attest to how overwhelming the sensation can be. In fact, her fears became so debilitating that she put both herself and others in danger. While driving her car, she noticed a spider in her peripheral vision. Fear immediately took hold, causing her to spin out of control. She clearly went into fight-or-flight mode, and panic was her immediate response. When police arrived, they discovered just how life-threatening the crash was. 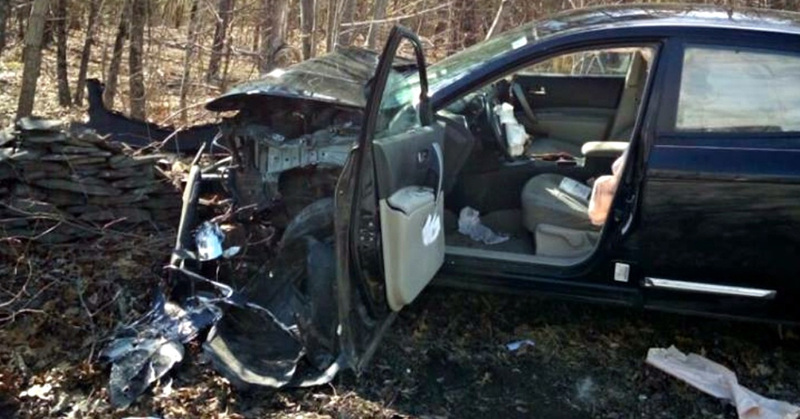 She had gotten into a head-on collision with a tree and totaled her car. Fortunately, she only suffered a minor leg injury. Police were so rattled by the event that they took to Facebook to relay the story and provide a word of caution. In short, the message urged drivers to pull over safely if an unexpected danger threatens. They also encouraged drivers to “learn to overcome the fear.” Unfortunately, that’s easier said than done. Once people realized the woman was safe, they wasted no time poking fun at the situation, divulging phobias of their own. One commenter revealed that she’d be six feet under if she ever found a snake riding passenger. Meanwhile, another poster was happy that the spider was unharmed. One of the top comments was a funny anecdote shared by a Facebook user who had undergone a similar experience with her sister. 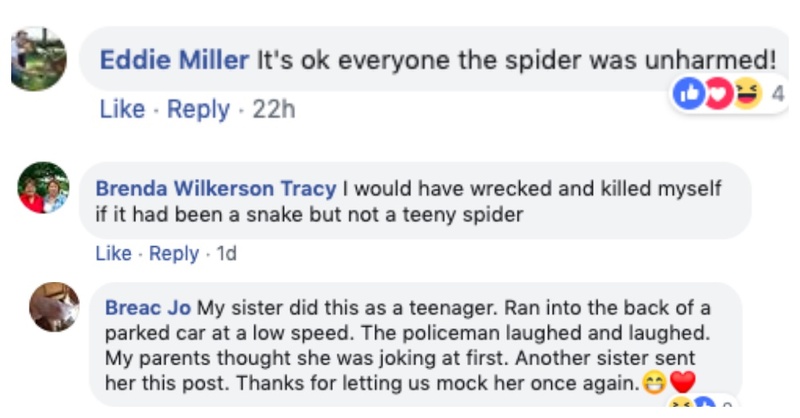 According to her version of events, her sister was so spooked by a spider that she rear-ended the car in front of her. With that said, this woman is not alone in her struggles.